Nestled in the hills above Whittier, the District was created in 1960. The College officially opened its doors for instruction in 1963 and is celebrating its 50th anniversary in 2012-2013. As a comprehensive community college, Rio Hondo offers many strong career-technical programs, such as nursing, fire and police academies, automotive and alternative fuels, a full transfer curriculum, and basic skills courses and services. The College also offers a rich complement of community service programs on campus and at satellite locations. Rio Hondo College has developed an impressive educational complex which enrolls approximately 20,000 students per semester. The student body reflects the diversity of the surrounding communities and is approximately 72% Hispanic, making it a Hispanic-Serving Institution, 5% Caucasian/Non-Hispanic, 3% Asian, 1% Black, and 18% other/unknown. 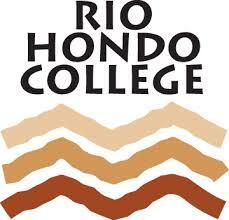 The Rio Hondo Community College District encompasses several communities in the southeast section of Los Angeles County. It is a dynamic urban and suburban area which also includes commercial, industrial, educational institutions, and enterprises. The primary communities are El Monte, Whittier, South El Monte, Pico Rivera, Santa Fe Springs, and Los Nietos. The nearby communities of Norwalk, La Mirada, Downey, La Puente, and the City of Industry are also an integral part of the College District. The area provides easy access to cultural, recreational, and diverse ethnic and cultural opportunities.